Such solutions can vary from the simplicity of stand-alone technology to wirelessly connected multi-tasking computer platform, complete with printing and bar-code/ RFID scanning capability. You can see a live use of mobile POS when you walk into any Apple store. You will notice that Apple has successfully reduced customer wait time in its stores by allowing its floor staff book a sale using an iPhone and card scanner. The entire apparatus comes with a small printer attached to the sales person’s waist belt that prints receipts very quickly. It’s an experience to a customer standing in the middle of the store making a purchase. High season calls for extra POS stations in store. It can be very expensive buying licenses for extra POS systems only for limited months. Mobile POS is an answer to such seasonal rush hours. The technology also comes handy when retailers are off site in makeshift stores and need to transact while roaming. Mobility Retail solutions enables retailers to undertaken many complex processes with ease. Point of Sale, store location or corporate headquarters can now access processes like Sales, Refund, Price check, Promotions, Multi-Store Inventory lookup, Inter-Store Transfer, Retail Dashboard on mobile devices as well as their POS or back-office computers. The benefits are numerous, ranging from accessing transaction data, reduction of revenue loss, to higher availability of stock, or from queue-busting solutions to product location. 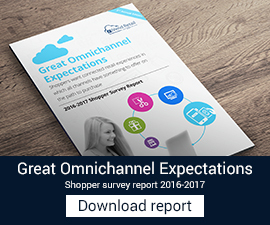 To remain competitive, every retailer today is looking for technology that can help them take right decision at the right time as well as increasing customer satisfaction and perception. Data once accessed on a mobile device can be processed much more easily. Business Intelligence (BI) is finding ‘what sells more’ in ‘what season’ under ‘specific actual conditions’. Business Analytics (BA) is projecting ‘Profitability’ when ‘condition changes’. For example, given an apparel store, Business Intelligence is to find ‘what color shirts sell more’ in ‘winter’ in ‘New York’ when ‘it snows’. Business Analytics is ‘impact on profits’ if ‘similar color shirts’ are ‘available in inventory’ before the ‘snow starts’. Research shows that retailers using Business Intelligence and Analytics for decision-making process are much more profitable that ones who do not take decisions based on actual data. CitiXsys is working with many of its customers using iVend Retail Management System and SAP Business One/ SAP All-in-One to bring Mobile POS and Business Intelligence capability it their retail landscape. Multi channel retailing is the future of retail. Technology is an enabler to make a retailer remain agile and competitive.